I wanted to see this movie for two reasons. One, it was filmed in Austin, and two, I now have an office job of my own. The last time I probably saw this movie was in middle school and I was nervous that all the jokes I loved back then would fall flat now. Fortunately I was completely wrong! And this movie just adds to how much I love Mike Judge (I just looked him up and found out that he has the same birthday as I do!!!!!!!) The plan is to watch Extract next, hopefully it’s okay. I need to start watching interviews with him cause if I ever saw him walking around Austin I don’t think I would recognize him, maybe. You can never watch this movie enough. I wish I had a neighbor like Peter does in this movie. 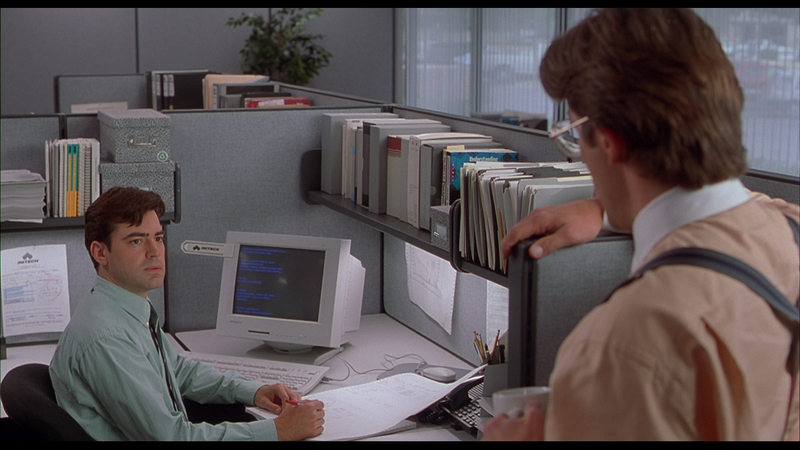 I’ve always loved Office Space, but I had been wanting to watch it again since starting my current corporate-y office job. Luckily, I love my job and my co-workers and our office is much more relaxed than Initech, but some of the jokes definitely mean more to me now. I think my two favorite characters are Michael Bolton (David Herman) and Lawrence (Diedrich Bader). They both have such great one-liners, and I love the fact that Michael is a skinny, meek white guy into gangster rap. And Lawrence’s thinking is so straightforward, he’s almost wise. Great stuff.